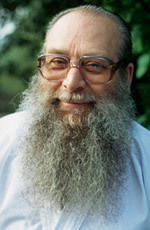 One of the most controversial people in UFO and contactee lore is the Swiss Eduard "Billy" Meier. He claims to have been in contact with extraterrestrial humans, from the Pleiades since 1942, at the age of five. Over more than 60 years, he has collected a vast number of photographs, and contact notes. Meier's photographs are highly controversial. Many experts claim they are fakes, while others point out that nobody has been able to reproduce such fakes. They also point out that if the pictures would have been faked and use models, that Meier would not have been able to produce them, since he has lost an arm in an accident in 1965. Things got even more complicated when both Meier and his wife admitted he had made models. Meier claimed he had made models only "to show the difference between afake and the real thing." The fact that Meier dismisses other contactees as frauds and his claims to be the only official contactee for the Pleiadians have cast further doubts on his position, as does the fact that the nature of his communications with them has changed: initially the encounters were 3D encounters. Nowadays, the contacts are telepathically (read: channelling), mainly with a female Pleiadian, called Semjase. In my opinion, he probably did have some genuine contacts originally, but then was met with an ongoing demand by followers for more, and started making it up.